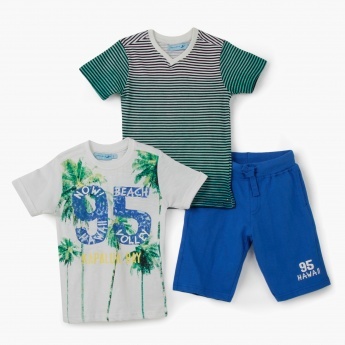 This appealing three piece set will ensure your kid's comfort through the day. The set contains a printed crew neck tee and a striped tee both with short sleeves. The pants have an elasticised waistband with drawstrings.